Celebrated Irish blues guitarist who got started in the '60s with a group called Taste, then worked as a solo artist until his death in 1995. 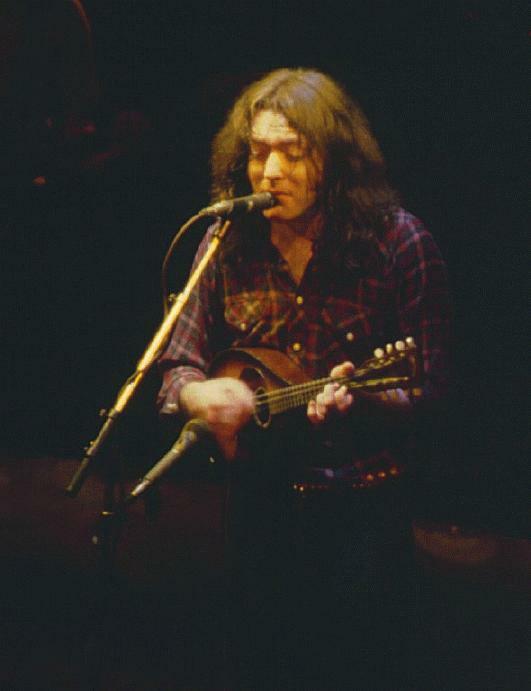 Rory sometimes played this Martin acoustic mandolin, fitted with an Ibanez pickup, on tunes like "Bullfrog Blues." 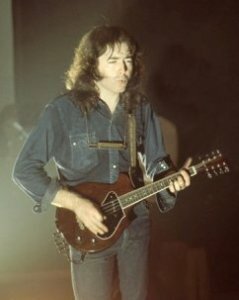 He also owned an electric mandola by UK luthier Chris Eccleshall (see below), but I don't know if he ever performed with it. There are dozens of Web sites devoted to Rory and his music.